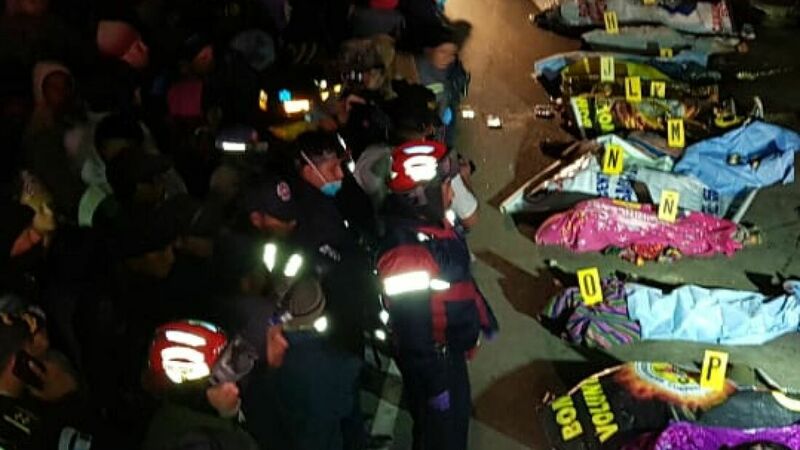 ​A trailer truck rounding a curve on the Pan-American Highway in Guatemala crashed into a nighttime crowd that had gathered on Wednesday, 28 March 2019, around the victim of an earlier fatal traffic accident. The truck crash killed at least 18 people, fire officials said. 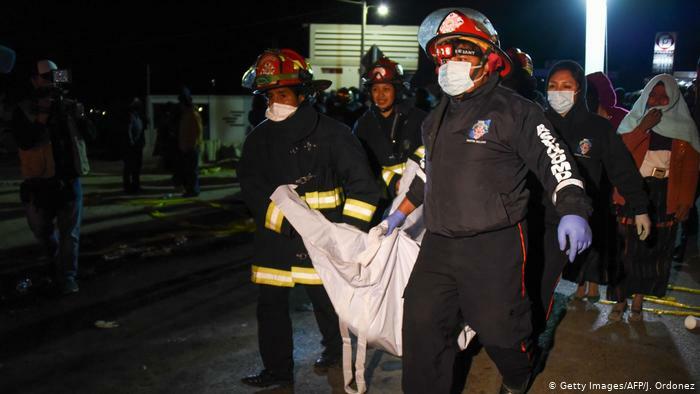 Initial reports put the death toll higher, at 32, but Cecilio Chacaj, a spokesman for the volunteer fire fighters, told local news media outlets that 18 bodies had been recovered. 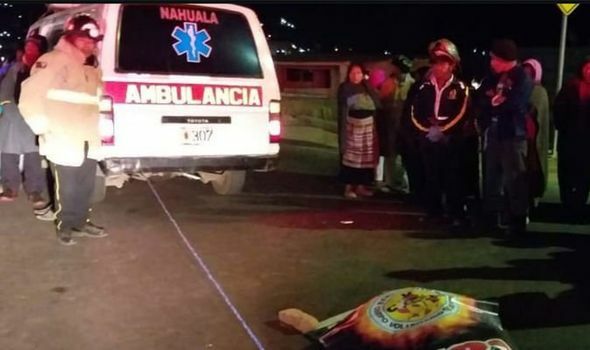 The accident took place in the town of Nahualá, in the province of Sololá, around 95 miles west of Guatemala City. 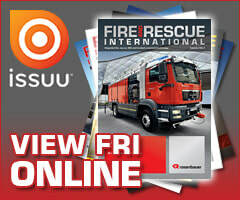 Guatemala’s volunteer fire fighters reported the first accident at 20h48 and the second at 21h25. 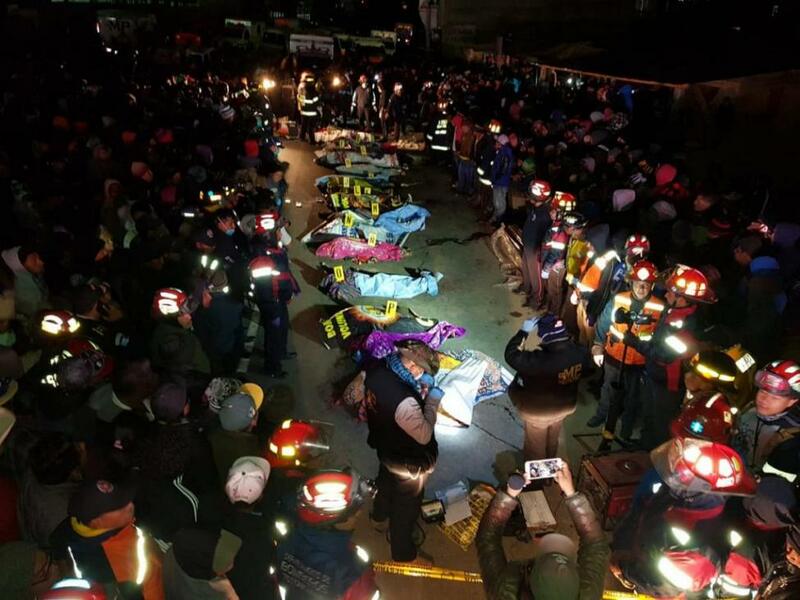 Photographs from the scene showed victims’ covered bodies lined up along the Pan-American Highway surrounded by volunteer fire fighters and police officers. By midnight, local funeral homes had begun delivering coffins to relatives at the accident site. The Health Ministry said that 19 people were being treated at local hospitals and three of those would be moved to a specialised hospital in the capital. The Guatemalan government declared three days of mourning for the victims. Guatemalan roads are poorly marked and even major highways are mostly unlit, making navigation at night treacherous. The driver of the trailer truck may not have seen the gathered crowd until it was too late to stop. The police continued to search for the truck driver through the night. A series of disasters over the past few years in Guatemala has underscored the government’s failure to develop even basic procedures to protect its civilian population. Last year, at least 425 people were killed or missing after the Volcán de Fuego erupted, burying villages on the slopes before there was time to evacuate. In 2015, the side of a hill gave way and buried the town in the gorge below. More than 600 people were reported dead or missing. 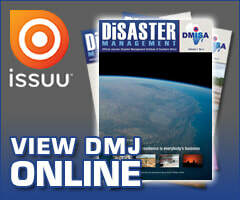 The area had been reported as a high risk for several years.